Coconut milk recipes and almond milk recipes can be used for recipes that call for paleo or vegan milk. Fresh coconut milk recipes will help give you important saturated fats and MCTs which are needed for optimal cell functioning. 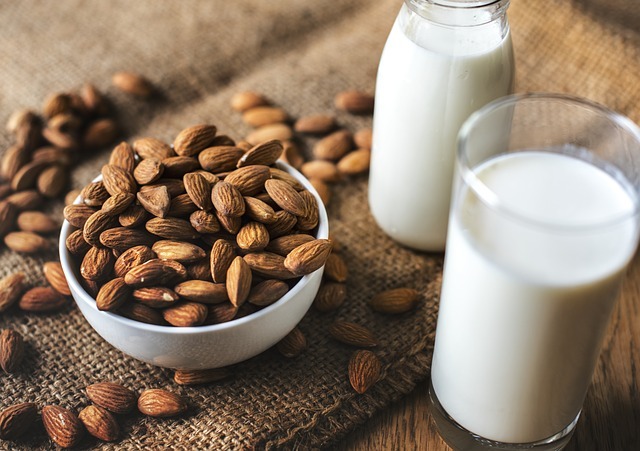 And almond milk recipes can help to give you some extra protein - if the almonds have been processed in a way that helps to remove anti-nutrients that may block protein absorption. Nut milk recipes can also be made from macadamia nuts, hazelnuts, and brazil nuts. Poke out the eyes of the mature coconut and drain the coconut water from the coconut. 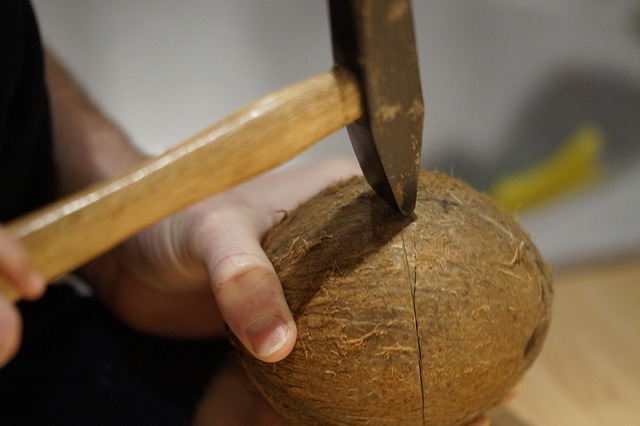 Crack coconut open and scoop out the coconut meat with an appropriate tool. 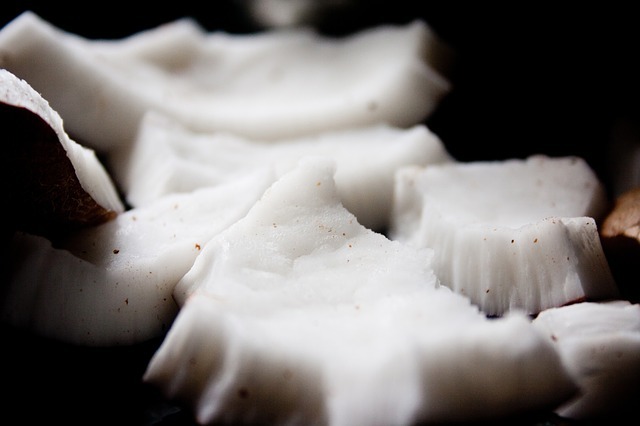 Shave off discolored parts of the coconut and cut into smaller pieces. 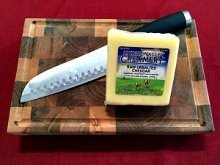 There are a few ways to make coconut milk recipes and this is one of my favorite ways - because I prefer raw foods. Add pieces of coconut meat and spring water to a Vitamix or other high speed blender - start on low speed and then turn up to high speed. Blend until a thick mixture forms. Then pour into a nut milk bag and squeeze bag (like your milking a goat) until all of the coconut milk comes out of the nut milk bag. 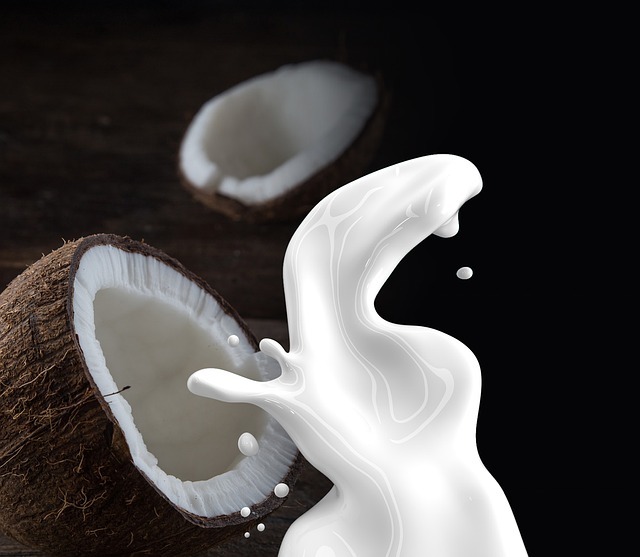 Enjoy raw coconut milk in a smoothie or use it in other ways. Use a sharp tool to poke thru the eyes of your coconut. And drain the coconut water into a bowl. Then place the coconut in a shallow pan and put it in your oven (350 to 375 Degrees F) for about 20 minutes or until you hear the coconut crack. Carefully remove the heated coconut from your oven and give it a whack to crack the coconut open (be careful not to burn your fingers). 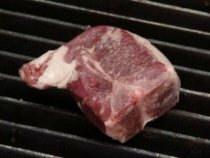 When the coconut is cool, score the meat with an appropriately shaped sharp knife. Scoop coconut meat out with a spoon and remove off any discolorations. 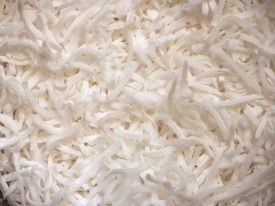 The coconut meat is now ready for your coconut milk recipes. Add ingredients to a blender and "carefully" blend for 30 seconds - then let sit to cool for 10 minutes. Pour into a strainer lined with cheesecloth and let coconut milk drain into a bowl. 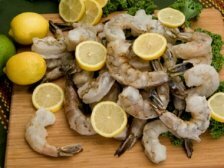 Use right away or store in your refrigerator for a few days. This is the short-cut method of which almost anyone could use to make quick coconut milk recipes. This easy method for coconut milk recipes can be used for your smoothies, coconut yogurts, and cooking needs. And no cans! Blend ingredients until smooth and it's ready to drink. Add soaked almonds (almonds that are soaked overnight in water, rinsed, and drained) and other ingredients to a Vitamix or other high speed blender. Start on low speed and then blend on high for 1 to 2 minutes. Pour blended mixture into a nut milk bag and milk bag until all of the almond milk comes out. Use milk right away or store in refrigerator for a few days. Raw sprouted almonds will give you better nutrition than pasteurized almonds (which is more widely available these days - unfortunately). 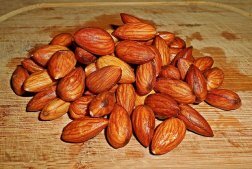 There is quite some controversy over obtaining raw almonds - especially in California! Make sure you know your almond sources and you may want to look into finding a better source for purchasing truly raw almonds. Anyway, soaking your almonds overnight and up to 24 hours (in salted water) will help to remove anti-nutrients that will interfere with the digestion and absorption of vital nutrients like protein.